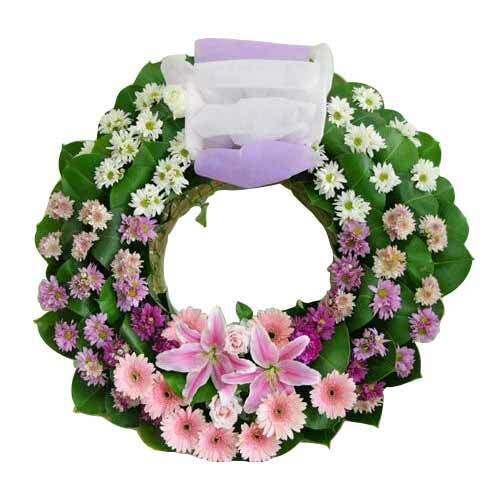 Product description: Be happy by sending this Blooming Bouquet of Earnest Love to your loved ones and see the joy it brings to their life on this Valentine's Day. 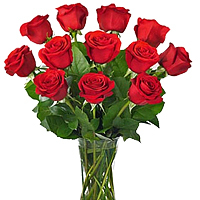 It is garnished with 12 Red Roses and is arranged in a lovely Vase. 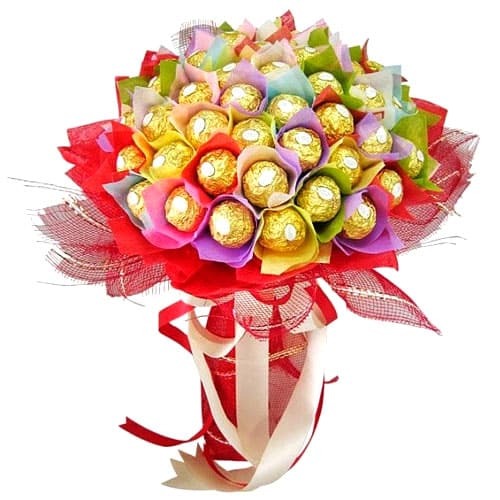 A stylish bouquet containing 50 Ferrero Rocher chocolates arranged in the form of flowers in this wonderful presentation. A perfect gift to show ur loved ones that you are thinking of them! 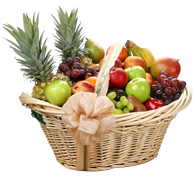 Spread smiles all over the lives of the people you love by sending them this Delightful New Year Basket that showers its beauty upon those people to make them happy. 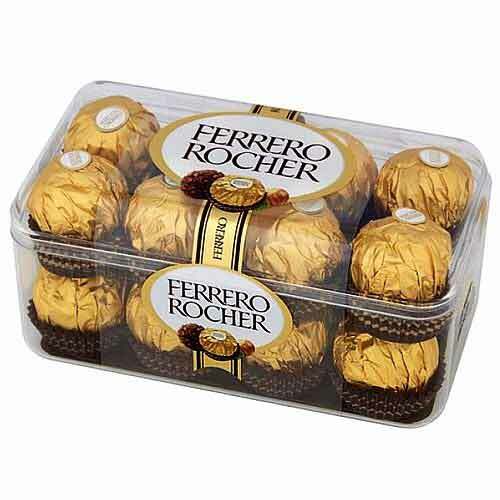 It contains Snack, Fresh Flower, Chocolate, Wafer and Cookies. 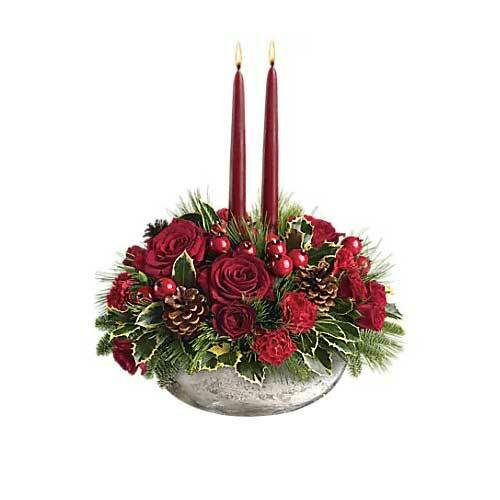 This composition with two red candles in the center for the table with the mountain foliage, roses red, skimia red, golden ribbons, gold pine cones, balls red. Create a special atmosphere at your home.